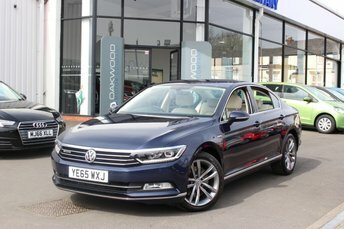 This fantastic example of the Volkswagen Passat is in lovely condition and is fitted with Parking Sensors at the front and rear, Bluetooth telephone and media use, DAB Digital Radio, USB and AUX-in connectivity, Cruise Control with a speed limiter, electronic Air Conditioning, VW Drive Mode selections, an automatic Start/Stop system, Arm Rests for the front and rear, Central Locking and Drinks Holders. This car has been well loved and maintained with regular service. 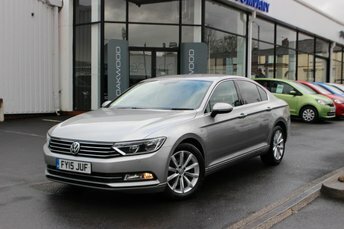 This fantastic example of the Volkswagen Passat is fitted with Bluetooth telephone and media use, DAB Digital Radio, Parking Sensors for the front and rear, an automatic Start/Stop system, VW Drive Mode selections, Keyless Go and USB and AUX-in connectivity. Also featured on this Passat are a multi function Steering Wheel, Air Conditioning, Drinks Holders and Arm Rests for the front and rear. This car has been well loved and maintained with regular service. 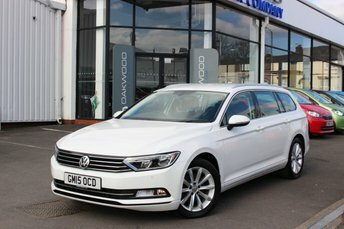 This fantastic example of the Volkswagen Passat is in lovely condition and is fitted with Satellite Navigation, Parking Sensors at the front and rear, Bluetooth telephone and media use, DAB Digital Radio, USB and AUX-in connectivity, Cruise Control with a speed limiter, electronic Air Conditioning, VW Drive Mode selections, an automatic Start/Stop system, electric folding Door Mirrors, Arm Rests for the front and rear, Central Locking and Drinks Holders. This car has been well loved and maintained with regular service by its only owner. 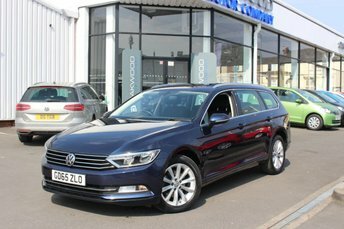 If you're searching for a family vehicle that ticks all the boxes when it comes to space, style and practicality, be sure to take a close look at the range of used Volkswagen Passat models for sale in Manchester today. Here at Oakwood Motor Company Ltd we stock a superb range of quality used vehicles, each of which is put through a full inspection process before being released onto the forecourt. Take the opportunity to view our complete range of used Volkswagen cars here on the website, before contacting a member of the team to discuss your requirements in detail.